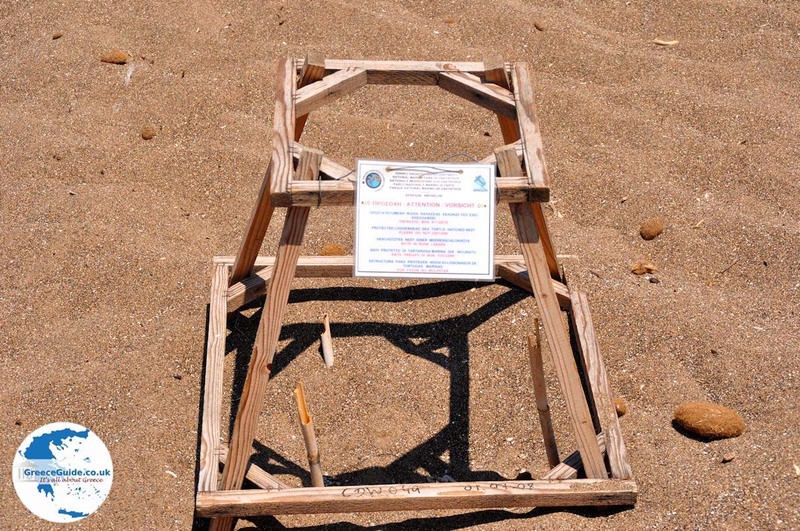 Kalamaki. 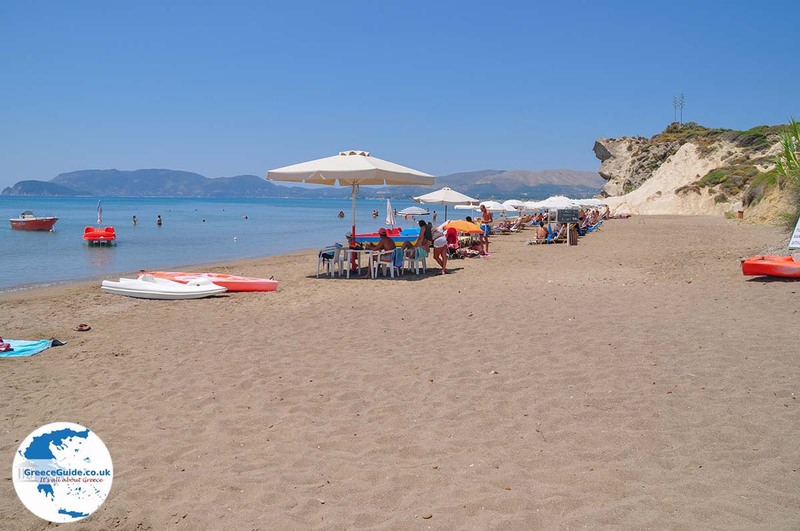 Kalamaki is a tourist resort on the Bay of Laganas in the south of Zakynthos which owes its huge tourist development to the neighbouring village of Laganas. Kalamaki consists of the village Kalamaki and Kalamaki by sea (the beach of Kalamaki). 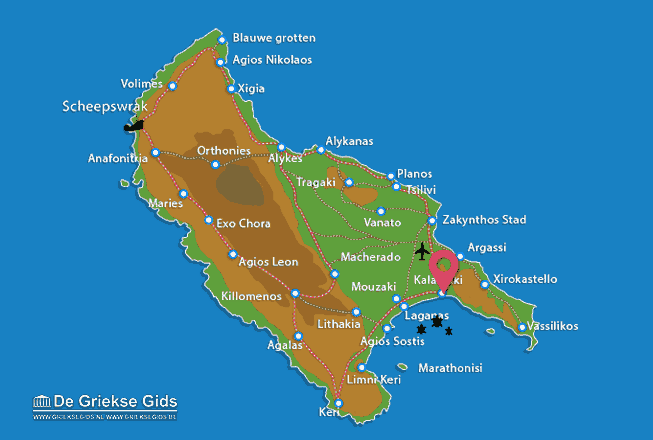 The distance to Zakynthos town is 6.5 kilometres. 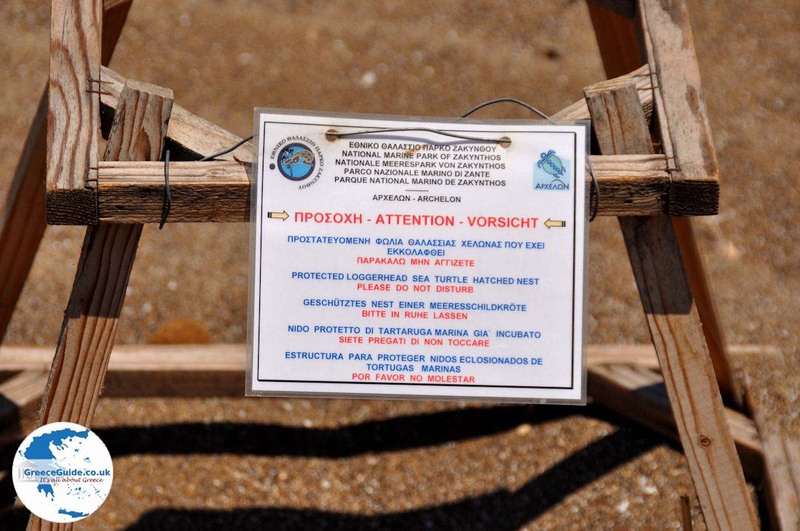 The Kalamaki beach is one of the ecological areas protected by nature lovers, because here the Caretta-Caretta turtles lay their eggs. 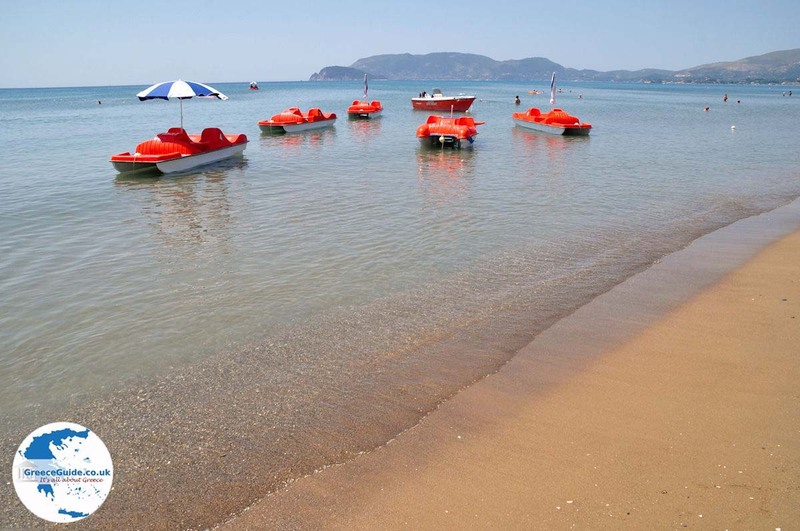 Kalamaki is located in the middle of a green area with many pine and olive trees not far from Zakynthos Airport. On the beach, where many steep cliffs are visible, is also a prominent rock, Gypsolithos, which literally means "rock / stone plaster". In this area are plenty of hotels, apartments and other accommodations. 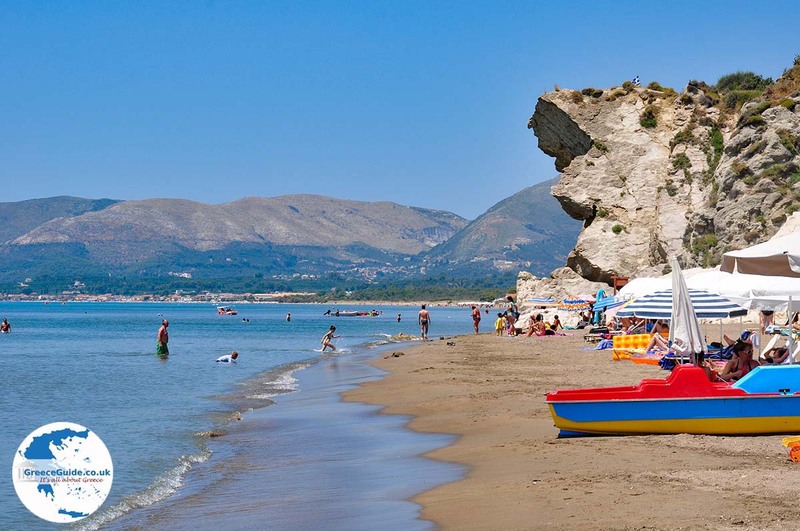 Kalamaki has a beautiful sandy beach where the water is shallow. 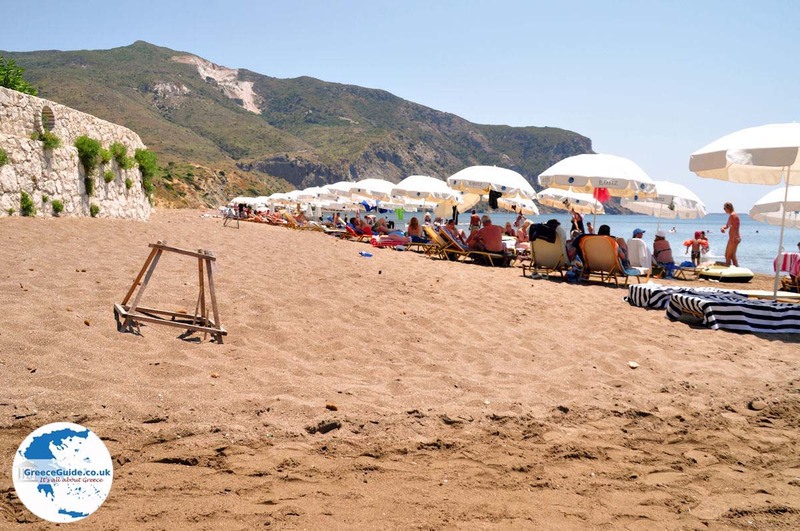 The beach of Kalamaki is well organised and offers bathers all comforts. In the village are several restaurants, tavernas and there are bakeries, cafes, souvenir shops too. 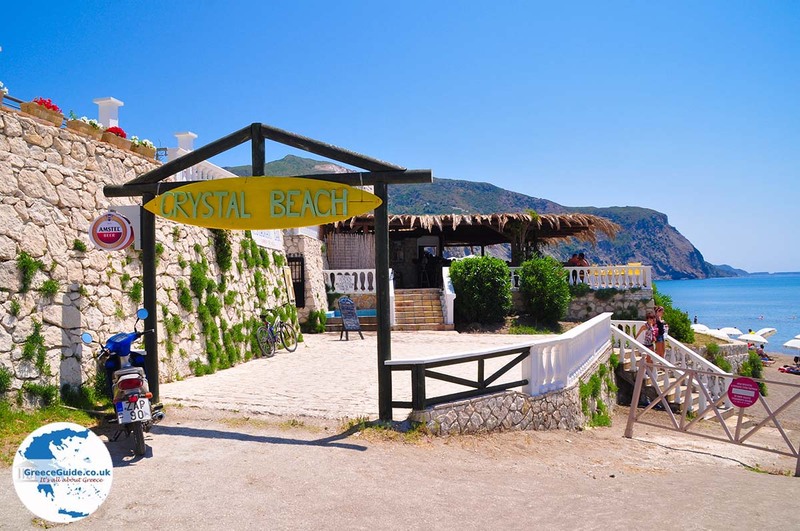 It has no nightlife, so if you love entertainment, you can better visit the popular Laganas that is located west of Kalamaki. 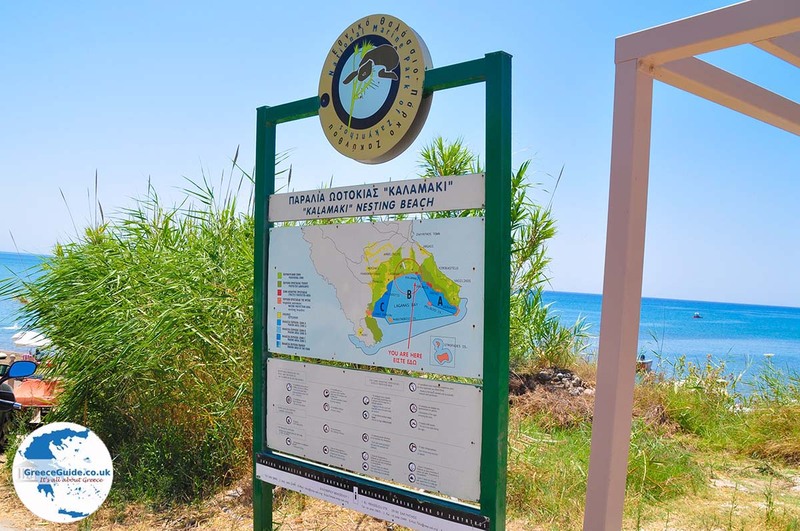 Zakynthos: Where on the map is Kalamaki located?